Way back in 2013, I was involved in the Red Nose Day Dolls. I made a little doll called Maisie, and she, along with lots of other wonderful items were auctioned to raise money for Comic Relief. They raised oodles of money and it was an awesome project to be involved in. Then the wondrous Mrs Pebbles came up with a Bigger Brighter Better plan. 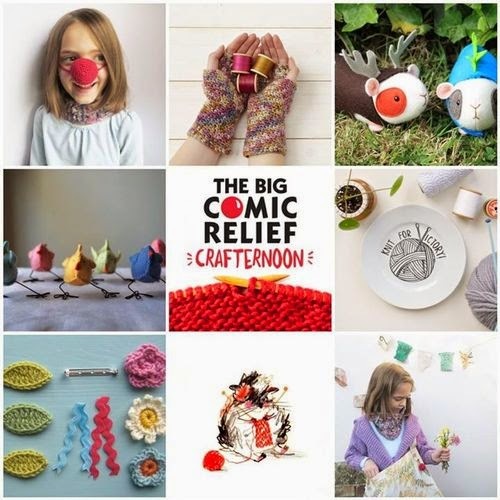 She teamed up with some clever folks and the team behind Mollie Makes to create The Big Comic Relief Crafternoon. The Big Comic Relief Crafternoon magazine is full of super wonderful projects and interesting tidbits. 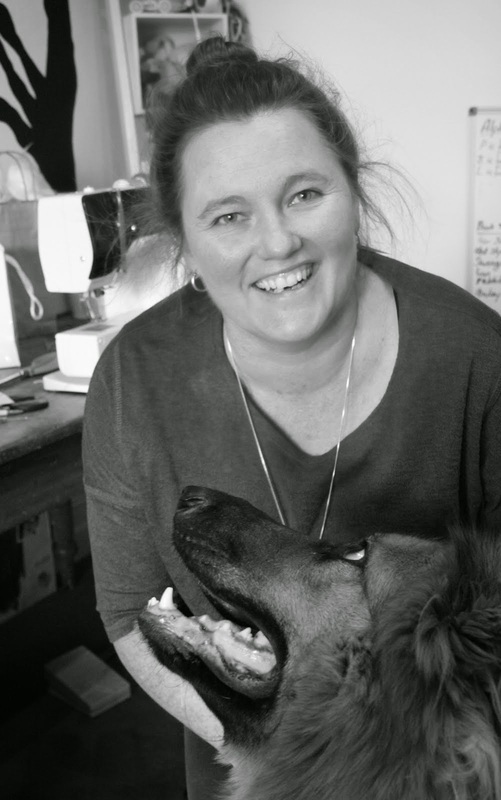 There is a host of projects including knitted beards, crochet red noses, exquisite knickers, DIY craft themed dinner plates, Spring-themed brooches and wrist warmers and, my friends, Ron and Audrey. This super special edition of Mollie Makes goes on sale in Sainsbury's for £7.99 and £5 of that goes to Comic Relief to support their wonderful projects. Here in Australia, we should be able to get a copy on itunes. (I'll keep you posted on that). Lots and lots of people have been involved in this massive project, donating their time, and their projects including. Lucy of Attic 24, Flossie Teacakes, Lynda Lewis from the Great British Sewing Bee, Oh No Rachio, and the wondrous Mrs Pebbles. My contribution is Ron (above) and his dear friend Audrey (below). You may have seen them prancing about on social media lately. In fact you can watch a wee stop motion video of them on youtube ! This project was actually a bit of a challenge for me - it is not often that I try and make realistic looking animals and it dumbfounded me to begin with. But once I added some little dress up coats to the pattern, I felt much more at ease. Ron and Audrey are included in the magazine in a full step-by-step tutorial. The magazine also includes instructions for running your own gala craft day so you could craft up a storm and sell your creations to support Comic Relief. Last time I was involved in this fundraiser I remember saying that sometimes, being the maker of things small and useless becomes bigger than small and useless. I stand by that, but it takes more than all of the many makers to make something like this happen, it takes people like Emma to dream up these huge ideas and then to set about making them happen. I am so amazed and in awe of my blog-friend. She is an egg of the very finest order. Please share this on your channels, your bookfaces and your what evers. Go to the facebook page and give them a like - spread the word. You are right - that is an amazing idea and a brilliant execution of it! I can't wait to be able to buy it and see how you've put Ron and Audrey together. Thanks to you and everyone else involved. You are the best of good eggs yourself, Ms RicRac - and Audrey and Ron are beyond cute. And how can you mention designing something realistic when one of those somethings -such a dear little guineapig - has reindeer antlers, you daft woman!!!! Wishing you a happy or at least undemented day at school tomorrow and a ton of fun for the rest of the week. I also spy certain rockin chicks by the absent and awesome MrsMyrtle&Eunice. I wonder how many Sainsbob's customers will know who you guys are. they ought to! Bit of a shame it won't be on general sale, not everywhere has a Sainsbury's. We do, but it'd take Mum four buses to get to. I'll be asking my commuter mule (aka my husband) to swap Waitrose for Sainsburys and nab me a copy of this when it comes out on Thursday. Who doesn't need a mustache on a stick? Or a guinea pig with antlers? The Ron and Audrey you tube video is adorable. 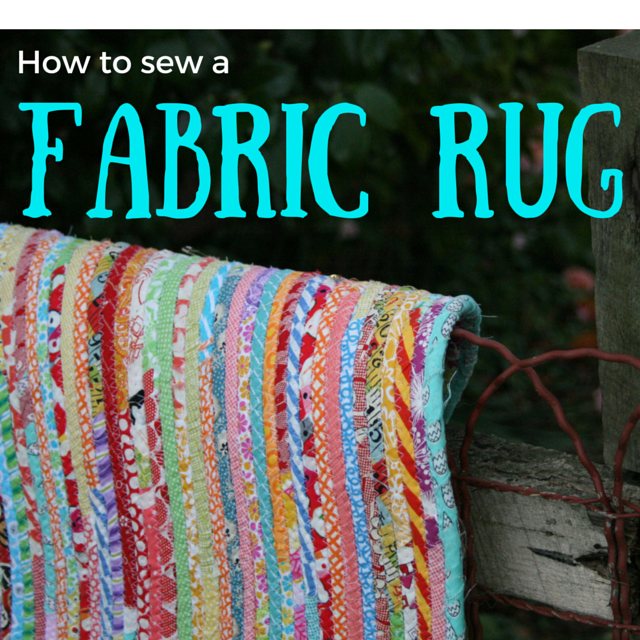 You are a crafty goddess and genuine awesome person in the HIGHEST order! They are adorable! As is the video starring them... too cute! Still laughing at that video... What a great idea. Well done to everyone involved. I do hope we can get copies here in Oz - via iTunes or printed copies!